I recently had the honour to meet His Royal Highness Prince Joachim of Denmark. This was made possible through my role as a Youth Goodwill Ambassador for Denmark, which I’ve mentioned previously in this article. Despite the film reference in the title, this experience didn’t involve any romance or ballroom dancing. Nor was it related to another film with a similar title, called The Prince and Me, in which a Danish Prince goes on exchange to the USA. 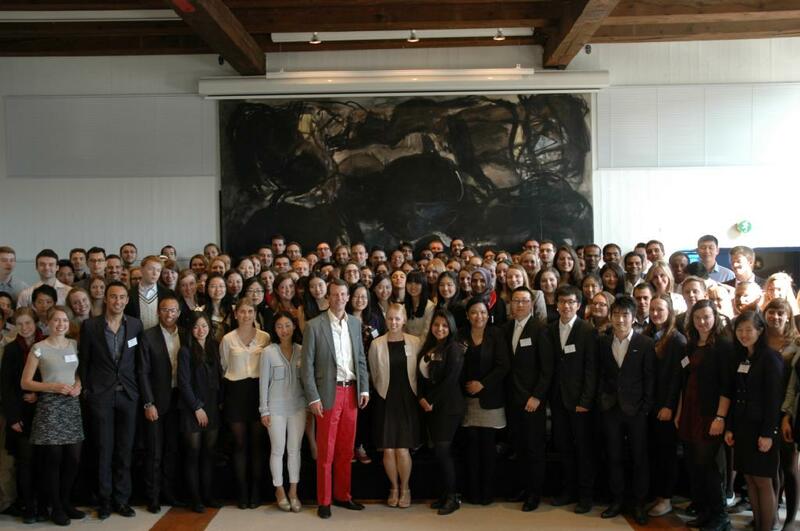 Rather, in the Youth Ambassador Summit 2014, HRH Prince Joachim was interviewed on a range of topics. I will pick up on some of the key points that he made. The Youth Goodwill Ambassadors for Denmark meet HRH Prince Joachim. You can just make out the top of my head above and slightly to the left of the Prince. When asked ‘what would you tell other countries’ universities about Denmark?’, HRH Prince Joachim first drew attention to the universal commonalities that are shared in higher education. He then emphasised the value in the flatness of hierarchical pyramids in Denmark. In other words, it’s a highly accessible system, where there are few layers between those at the top and those at the bottom. Another question that was posed to Prince Joachim was ‘how important is it to speak Danish when living in Denmark?’ In response, he explained that it is important to learn Danish. However, he noted that the Danes love to speak English, which makes it difficult for foreigners to practice Danish. He joked that Denmark is the worst place to learn the language, and it is the only place to learn it. I can relate to this sentiment, because I have found that the Danes tend to be eager to switch to English and reluctant to speak to you in Danish, if it’s clear that you’re not fluent. Outside of brief exchanges in the grocery store, and practice in my Danish language lessons, this can make trying to spark up a conversation in Danish a bit awkward. In my opinion, it’s different to France, for example, where you are generally encouraged to try to speak French. But that’s not to say that people here don’t appreciate the effort, because I think that they still do. When asked whether Danes are happy or just satisfied, HRH Prince Joachim noted there was some truth to the notion that Danes are the happiest people on Earth. He mentioned Danish modesty, which is a dimension that I didn’t take into consideration in a previous blog of mine on the topic of happiness in Denmark. It seems to be true that the Danes are good at managing their expectations. This way, they are perhaps more easily satisfied. These were just some of the points that I found to be the most interesting. The royal family is well-liked in Denmark, and I can see why. HRH Prince Joachim came across as being an approachable, down to earth guy. If stereotypes are anything to go by, these are perhaps some qualities that you wouldn’t expect to come from royalty. But I think that a key theme in his message was that by going abroad and by being hospitable to foreigners, you can widen your perception of the world and challenge your preconceptions. Robbie has now graduated from the University of Leicester. Hi, I’m Robbie. I am a Management Studies and Economics student and I’m currently spending my third year abroad in Copenhagen, Denmark. I like travelling, meeting new people and learning about different cultures. Follow my blog to hear about my experience in the land of the Vikings.